The Sterling Pro French Press model has easily become one of the most durable and reliable coffee presses that is currently available on the market these days. For one, this is perfect for individuals who are sick and tired of having to replace broken glass carafes and having to pay a price which is almost as high as a new French press unit. This model seems to be built for lasting use and still looks very beautiful and shiny, thanks to its outer mirror finish, making it perfect on any kitchen counter. If you are searching for that great gift to give your family or friends who love coffee as much as you do, this is the best option you can have. 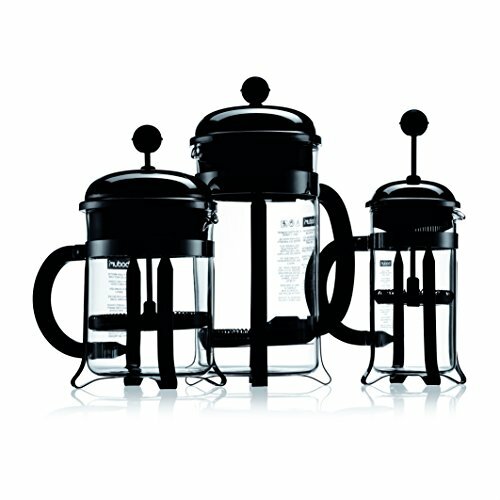 This French Press model was initially listed on Amazon in 2013 and already received high ranking. 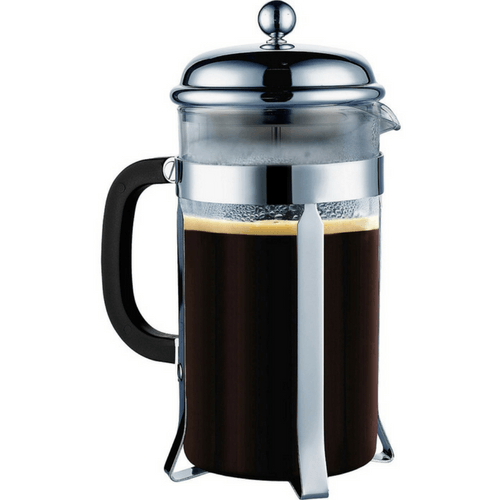 For 2015, the Sterling Pro French Press gets the top spot among the best sellers. Investing in a Sterling Pro French Press can turn out to be one of the best decisions you can ever make when it comes to getting your own coffee maker. This is also a perfect gift for your family and friends because of its high quality and functionality. 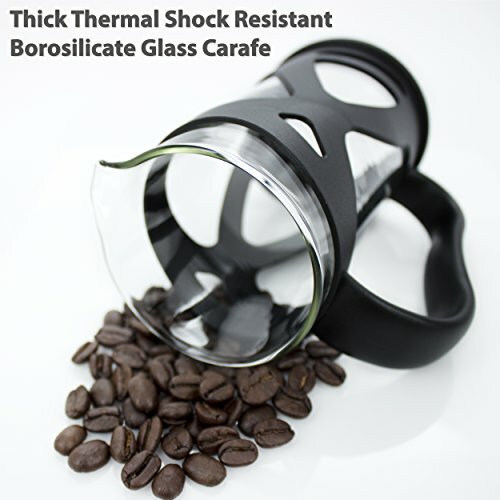 The glass is thicker, and does not crack easily as compared to other lower quality coffee presses. It also comes with a double filter system which is a great addition and advantage since most of the reviews claimed that this system really works. This results to experiencing no grounds in their coffee. The consumers were also impressed with the way that their coffee tastes. 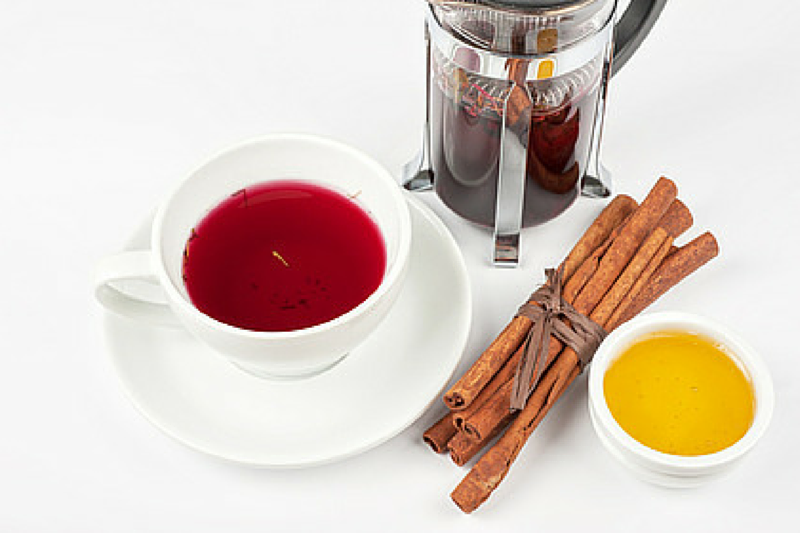 At the same time, it is possible to achieve a smoother flavor for their coffee. Cleaning is also a breeze. There is no wonder why this model has made great progress when it comes to ranking, and is currently being considered as one of the top competitors in the world of French press coffee. One good thing about competition is that the consumers are on the winning end. By exercising discernment in identifying the best French press, you can actually end up with the best choice sitting on your counter top. Since there are multiple brands that are currently available these days, it is best to make a comparison of the capabilities of each one in order to determine which one meets your standards, taste and preference. 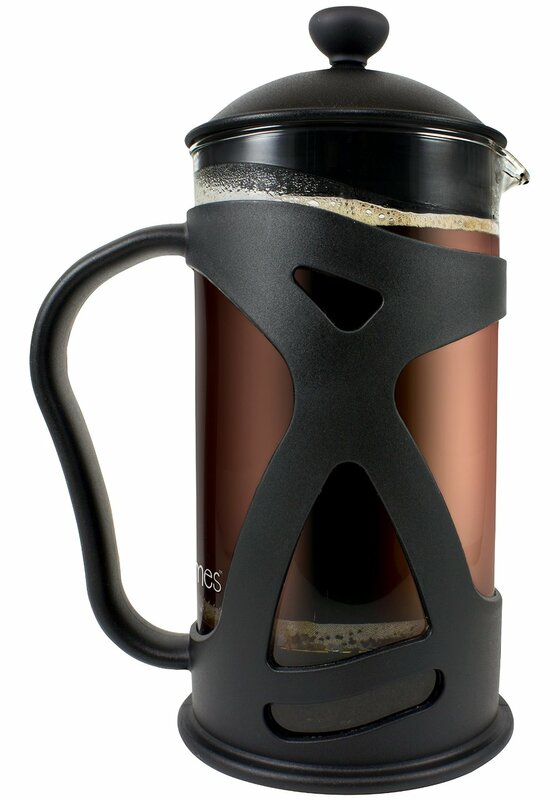 ​One product is the ﻿﻿﻿Kona French Press. It comes with a modern and fun design that has been inspired by different baristas in the world. The focus of this model is durability and style. This model has a serving size capacity of 34 oz., and there is also another option for a 12 oz. size. 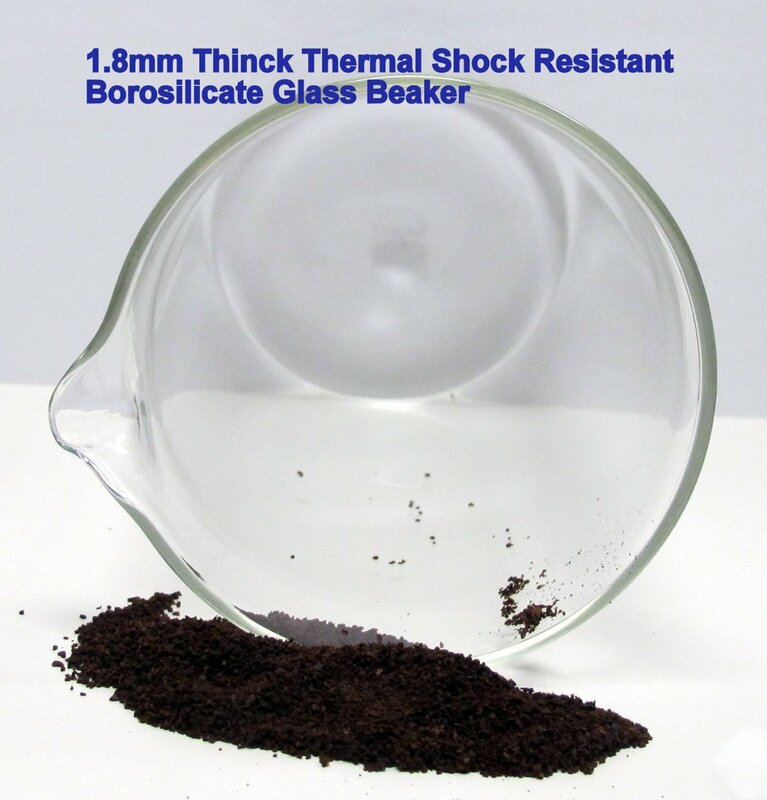 The carafe is also made out of borosilicate glass which makes the French press to any type of thermal shock. Its glass carafe also comes with a protective design which can wrap the pot well in order to minimize cracks, chips or breakage. 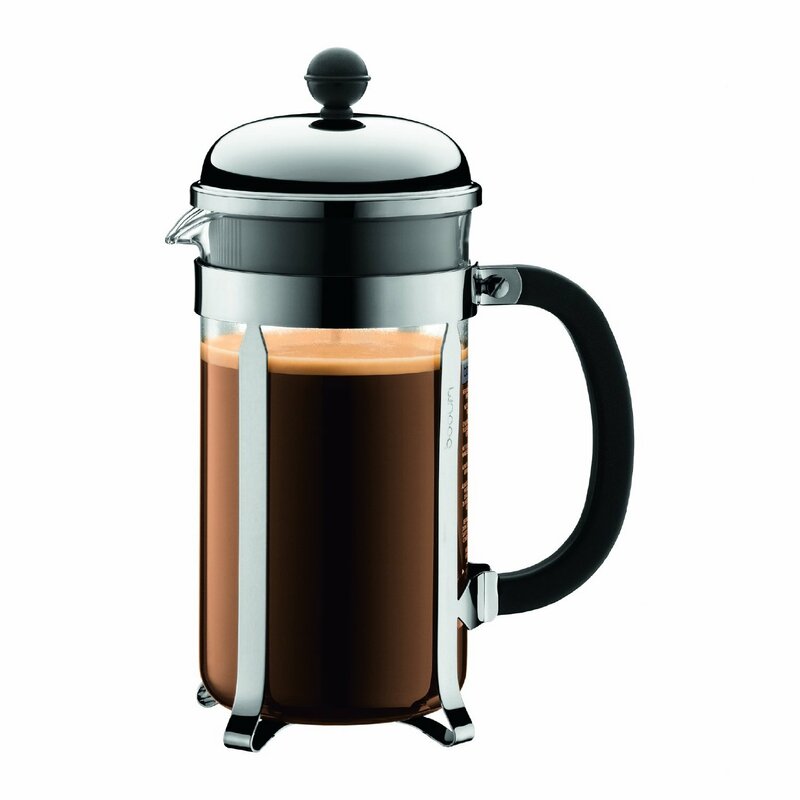 Another model in the market these days is the Bodum Chambord French Press. If you want classic, this is the choice. It comes with 4 various serving size capacities: 3 cups, 4 cups, 8 cups and 12 cups. The carafe is made out of durable borosilicate glass which can also be easily detached from its metal banded frame assembly. The frame holding the glass beaker is well polished and sturdy, along with a black Polypropylene handle which provides a comforting grip, adding further to its classic quality and design. ​Comparing the two mentioned models with the Sterling Pro French Press, it can be said that the Sterling Pro is still the best choice. This is also agreed upon by several other consumers who have contributed to the progress in ranking of this model. What makes this model special above the rest is the fact that it comes with a unique double screen which provides the assurance that you will not have to worry about grounds in your coffee. The second screen works by pushing the first screen to touch tightly the glass all over, catching any smaller grounds which can pass through the first screen. This feature is a great addition because nobody would certainly want to taste coffee grounds in their mouth when they are drinking coffee. At the same time, included are 2 extra replacement filter screens which can allow you to make great tasting coffee for a longer period of time. All in all, the Sterling Pro French Press has easily made it to the list of the most reliable options when it comes to French Presses. When considering its overall look and design, it can be said that this model is a very beautiful French Press, making it a perfect gift for families or friends, especially if they are also great coffee lovers. Once it is removed out of the box, you will certainly be impressed at the way that it looks, and will be certain that it is a great addition to any kitchen. You will certainly be proud to display and use this model. On the other hand, when looking at the functionality, this model is also great all over. It can make smooth, robust and rich tasting coffee with no bitter taste that is common in other brewing styles. With its unique double screen, you can also be assured that you do not have to worry about grounds in your coffee. If you would like more information or have any further questions, please feel free to contact us. We would love to hear from you.